FortFS offers a unique opportunity to new and existing customers to get a No Deposit Bonus in the amount of $75 into their trading account. Invite friends to take part in the new promotion and increase your FortFS No Deposit (Welcome) Bonus amount up to $75. Trade and withdraw your profit at any time without any limitations. Starting from 18.06.2018 and until 29.06.2018 inclusive welcome bonus of 75 USD or equivalent in another currency is available to all new clients of the company. Welcome Bonus 75 USD gives an excellent opportunity for new clients to use all the services of FortFS broker, to test trading strategies and to enjoy Forex trading with maximum comfort without risking own funds. 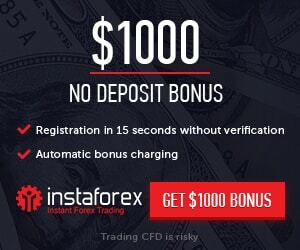 To get the $75 Free No Deposit Welcome Bonus you need to follow a few simple steps: All New clients have the opportunity to trade with free trading funds, without having to make a deposit. Open an account and start earn with FortFS. Bonus Offer : $75 Welcome Bonus.